« I can see a rainbow! Looks like you’re “walking the plank” Bailey! 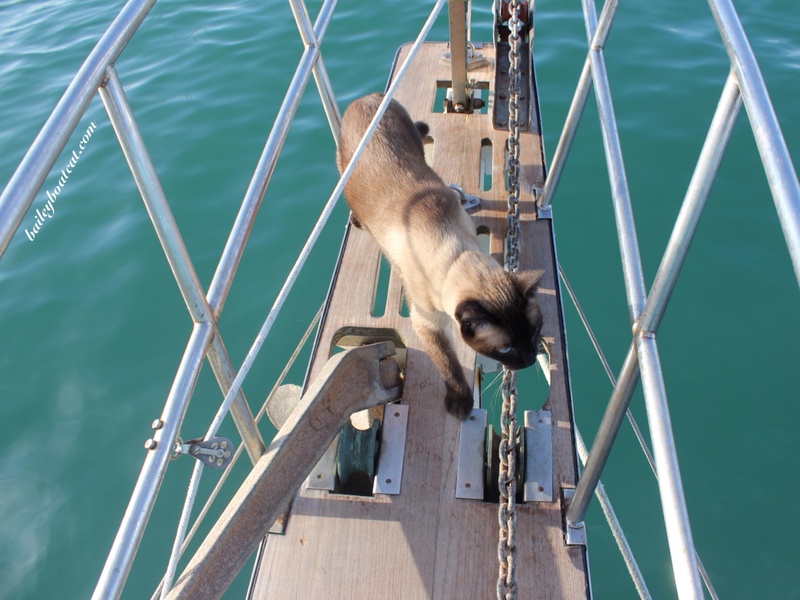 You do explore every inch of your boat don’t you! I am a pretty brave kitty, Bailey, but I think being there would scare me! Grrrreat photo n guud capshun Brofur Bailey!! !